I'm talking about the Community, Ask, Developer, Design, etc. bar. When viewed on a tablet, the entire bar is shifted to the left of the screen, so that it has no margin, is directly against the edge, and has an empty white space at the right. Probably a small CSS fix. 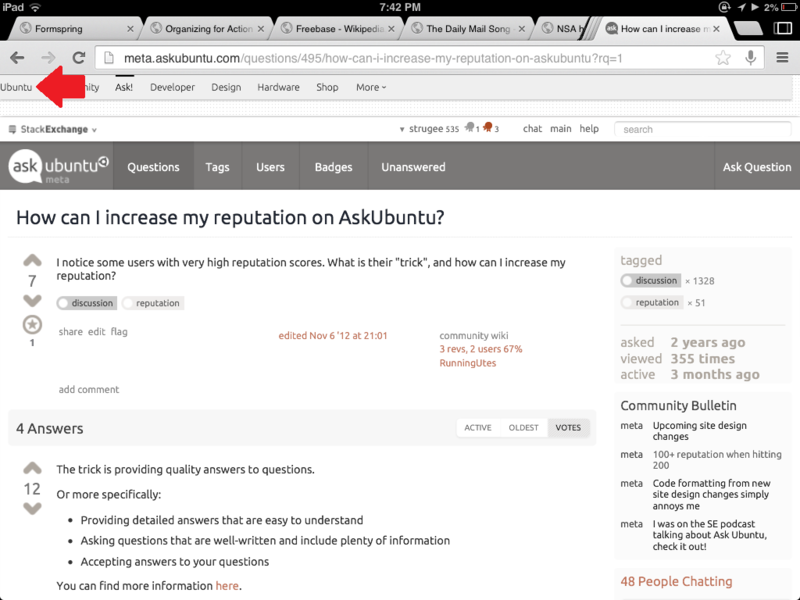 This issue is reproducible on Server Fault except with the Stack Exchange bar instead of the Ubuntu bar. The arrow points to the missing margin. Please excuse the mspaint-edited photo.